Verizon Wireless joined a growing trend on Thursday by announcing prepaid data plans for most of the smartphones and feature phones it sells. Users of 15 smartphones and eight less-expensive handsets with multimedia features can now buy unlimited 3G (third-generation) mobile data for US$30 per month, or 25M bytes of data for $10, without a contract. Previously, customers who bought a data-capable phone from Verizon and didn't want to sign a contract could only buy a prepaid voice plan, said Verizon spokeswoman Brenda Raney. The new offerings give consumers more choices, she said. The popularity of prepaid services has recently been growing, a trend some observers attribute to economic woes. Research company IDC reported earlier this year that users with prepaid plans accounted for 64 percent of all new mobile subscribers at the major U.S. wireless carriers in the fourth quarter of last year. Mobile operators in the U.S. have long offered prepaid voice plans, but they are increasingly embracing prepaid models for data service. On Monday, 4G upstart Clearwire -- majority owned by Sprint Nextel -- launched a flat-price, prepaid brand for its WiMax network, called Rover. Sprint's Virgin Mobile subsidiary announced an unlimited $40 no-contract data plan last month. At AT&T, consumers who buy handsets without a contract can get the same voice and data plans as postpaid customers, according to company spokesman Mark Siegel. That carrier also offers two prepaid plans for the Apple iPad, with 250MB for $14.99 and 2GB for $25. 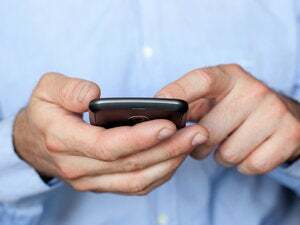 The economy has made some consumers hesitant to sign up for mobile contracts, and some have turned to prepaid voice because they see they are buying far more minutes than they use, said Jack Gold, an analyst at J. Gold Associates. By the same token, some consumers don't want to commit to a two-year voice-and-data plan on a smartphone because they don't know whether they will use the data services enough, he said. In those cases, consumers might be turned on to mobile data and become contract customers. "It's actually a pretty attractive way to get new customers," Gold said. For consumers, buying a data-capable handset without a contract doesn't always involve the big initial cost that an unsubsidized phone purchase once did, he said. However, analysts don't expect mainstream consumers to abandon postpaid, contract plans any time soon. "You will certainly see more and more prepaid offerings, but at that same time, the contract plan ... will prevail and tend to be dominant," said Tolaga Research analyst Phil Marshall. Verizon's prepaid data plans are available for some of the carrier's most high-end devices, including the Research In Motion BlackBerry Storm2 9550 and the Motorola Droid X. They are also available for less-expensive devices, such as the LG VX8360 feature phone. The 25MB monthly plan would be best suited to users who only need to occasionally check e-mail or do a Google search, Gold said. Once customers on that plan go over the limit, they will actually start to pay less per bit, with a rate of $0.20 for every additional megabyte, versus $0.40 under the monthly plan. Unlike traditional prepaid voice plans, in which a consumer buys a certain number of minutes and buys more when those are used up, the prepaid data plans from Verizon and others are purchased a month at a time, with or without a cap for that period. However, unlike a postpaid plan, the prepaid option allows the subscriber to back out or to take a break from buying the service. Verizon and other carriers already have prepaid monthly plans for broadband devices that work with PCs, such as USB modems. However, in many cases those plans include caps on monthly usage. The prepaid Verizon unlimited plan for handsets does not, Verizon's Raney said.